Mankind struggled for thousands of years to come to a correct understanding of how matter was constructed. The notion that everything consisted of earth, air, water and fire eventually gave way in the 1700s to “atomic theory“—the notion that everything was made from tiny indivisible atoms. 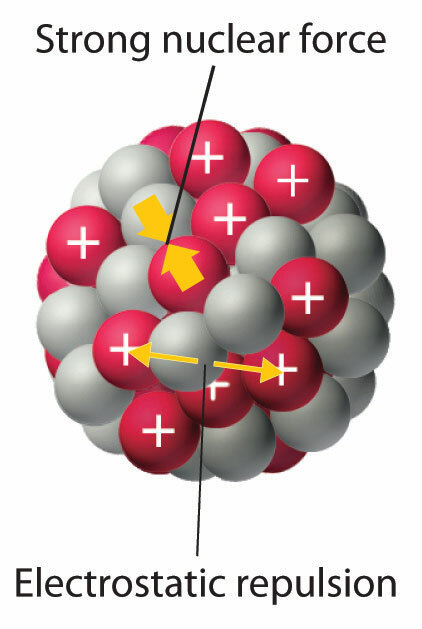 But the discovery of radioactivity in the late 1800s meant that there must be more to the atom than a hard little ball, and it wasn’t until the 1930s that the correct interpretation of the structure of the atom emerged. 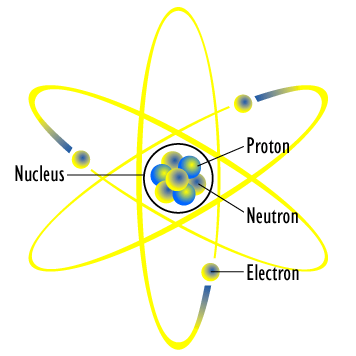 We imagine the atom as a consisting of a tiny nucleus made of discrete particles, protons and neutrons, orbited by a series of tiny electrons. The protons are positively charged, while the neutrons have no charge at all. Since particles with the same electric charge repel one another, a simple question was asked: what holds the nuclear together? No one knew, so we surmised that there must be some incredibly strong nuclear force that bound all of these protons and neutrons into one tiny nucleus. Both protons and neutrons contributed to the nuclear force, but only protons had electric force that repelled them from one another. Neutrons acted as a sort of nuclear glue, holding the nucleus together. This realization also helped solved the puzzle of radioactivity. Radioactivity came about because there were too many or too few neutrons for a given number of protons. But the nuclear force must be incredible powerful to hold nuclear particles like protons and neutrons together, and this is the reason why nuclear energy is millions of times more powerful than chemical energy. Chemical energy is the energy of the electrons orbiting the nucleus. All of our commonly understood energy-releasing processes are based on chemical energy. From the digestion of food to the burning of coal, all of it is based on a rearrangement of electrons in atoms. But nuclear energy was something different, something not encountered in our daily experience. The only natural example of nuclear energy we might encounter would come from the natural decay of thorium and uranium. When humanity learned how to release nuclear energy on demand, through the marvelous process of nuclear fission of uranium, we for the first time could access an energy source millions of time more powerful than any other. The energy of the universe itself could liberate humanity from drudgery and servitude, if only we would use it responsibly.